As much as we don’t like to admit it, us anglers are all tackle tarts! We want to be seen looking flash on the beach with fancy rods and high-tech reels. We are so conscious about looking the part that often the actual skill of angling is overlooked! No matter how good your tackle is, if your bait presentation is poor, you will never catch fish. It’s that simple! 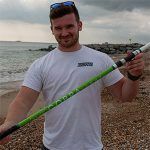 Even the sharpest of hooks won’t make up for a rag worm half hanging off a hook or a chunk of mackerel with the point buried deep inside the flesh. 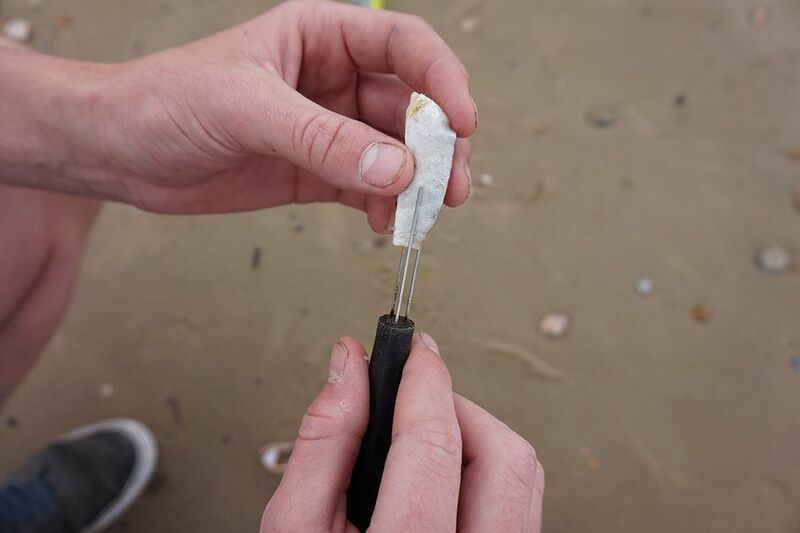 Thankfully, there are plenty of tools available to us that making the baiting up process easier, quicker and guarantee perfect bait presentation. 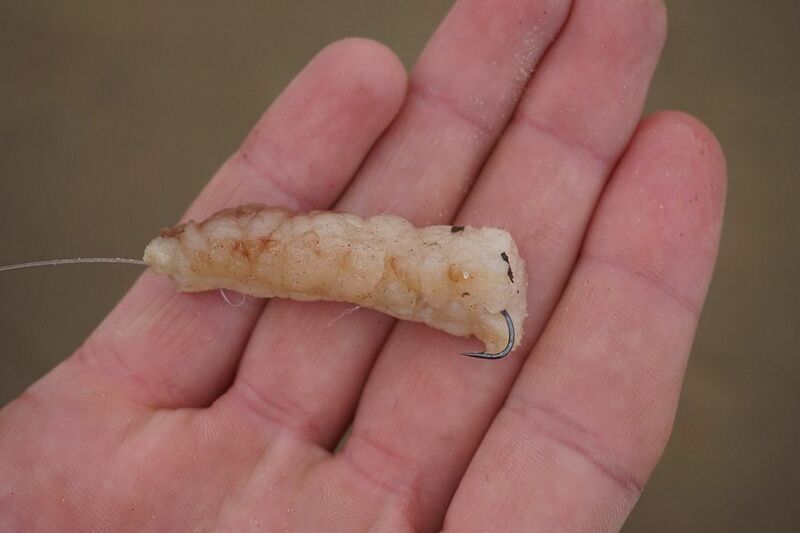 Worms are the staple bait for us sea anglers. Why? Because they are so versatile! There isn’t a fish in the sea that would turn down a plump juicy worm! Due to their effectiveness, they are an obvious choice of bait, yet some anglers refuse to use them. They might not admit it at the time but it’s generally because they find them difficult to put on. It is understandable, they are slimy, wriggly and incredibly hard to feed around the bend of the hook by hand. 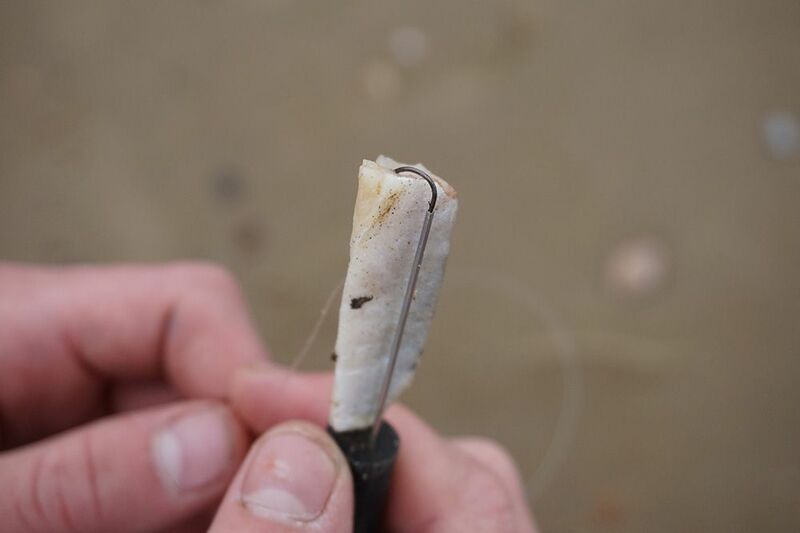 Thankfully, we have the Tronixpro Baiting Needle! These are long needles that are hollow at one end and make baiting up with worms so easy! Pass the pointed end into the worm’s mouth. Feed the needle all the way to the end of the worm. Place your hook into the hollow end of the needle. Whilst keeping the line under tension, feed the worm off the needle and around the bend of your hook. Make sure not to leave any dangling tails for fish to pull off! There is no shame in using a needle, and certainly isn’t a sign of a beginner. In fact, I still use them now. They are so quick and easy, you’d be silly not to! The Tronixpro Baiting Tool is like an upgraded version of the Yuki Baiting Tool. It works in a similar way, but with the addition of a third spike which is hollow to allow your hook to sit into. With three spikes, the Tronixpro Baiting Tool supports softer baits like mussel better than the Yuki Baiting Tool. It’s available in a standard and a large size. The large size allows you to create specimen fish baits and cocktails with ease, I’m sure boat anglers will find this one useful too. To use the Tronixpro Baiting Tool, slide you bait onto the two spikes, leaving the hollow tipped one outside of the bait. Place your hook into the hollow needle and trap the line tight between your thumb and the plastic tool handle. Proceed to whip the bait with enough elastic to hold it together. 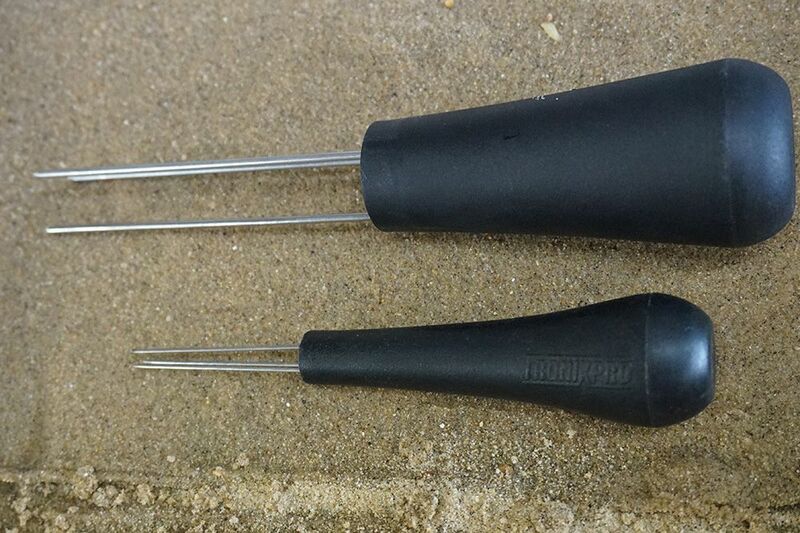 Simply slide the bait off the tool and make sure the hook point stands clear of the bait. Anglers choice of bait elastic quite often gets neglected. 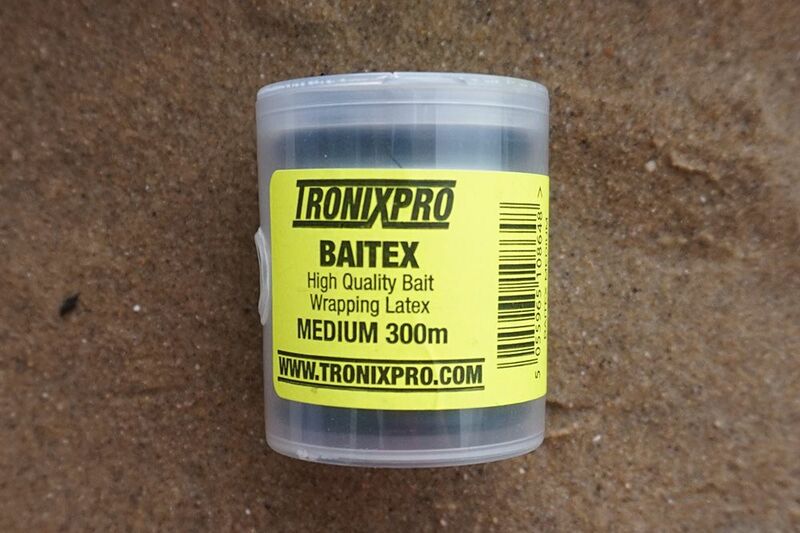 It’s one of those things you quickly grab a spool of whilst buying your bait without paying it much attention. 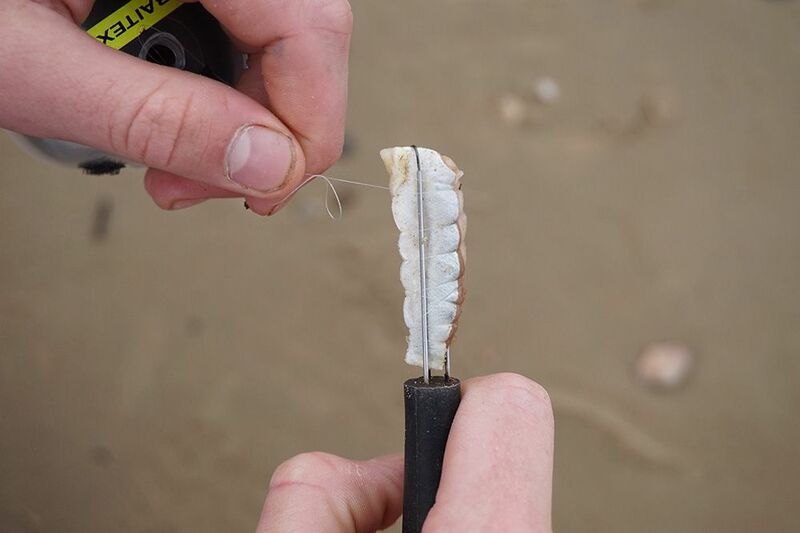 Your choice of elastic is quite important, after all, you’re about to wrap your lovely juicy bait in it! That thick horrible stuff that frays into little strands is so outdated now; you can buy yourself elastic that is stronger, finer and with better stretch. The only elastic I use now is Tronixpro Baitex. This stuff is the best. Even in the thick size it’s far better than the old-fashioned stuff you buy on little white spools.